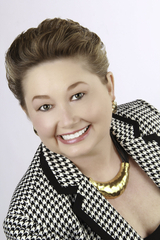 Carla Kienast has more than 20 years of corporate communications and investor relations experience. Besides heading her own consulting practice, she has served as the corporate communications and/or investor relations officer for both public and private companies. She has successfully developed both integrated and focused strategies that exemplify the best practices in the fields of investor relations and corporate communications and developed and executed comprehensive communications programs that have delivered targeted results. She has helped newly public and established companies create investor relations programs that serve as the foundation for open communication with shareholders and compliance with SEC and exchange regulations. Numerous companies have turned to Carla Kienast to preserve value and stakeholder confidence when dealing with significant corporate issues. Her proposal work has won her clients hundreds of millions of dollars in business. In addition, her printed communications have won several national awards, including the Nicholson Award for effective shareholder communication, inclusion in the AR100, and the IABC’s Golden Quill of Merit. A recognized expert, she has spoken to professional audiences on such subjects as Investor Relations in a Changing Environment, Media Relations, Crisis Management and the Annual Report Process.